I have been using my DTEK60 device, since late February or early March of 2017 (I made the purchase during the timeframe of the $50 discount at ShopBlackBerry). I'm mostly satisfied with it so far, but one issue has been a particular demon - the DTEK60, at times, will Power off on its own prematurely while there is still substantial battery life left. * A few months after I began using the DTEK60 device, I noticed that it would Power off prematurely, while battery life was still in the 15-25% range. Sometimes, it would Power off once Battery saver was automatically activated at 15%. While this was certainly problematic, it was something I felt I could tolerate, since the battery life is usually pretty decent - I charge my device often. * This automatic Power off issue got much worse sometime around October or November of 2017. There were a few instances, where the DTEK60 device would automatically Power off in the 25-35% range. * On several occasions since then, there were instances of automatic Power offs, while battery life was still substantial (up to around 40%). I did some research on these issues, and concluded that it's likely a voltage issue. 3) What exactly would the process be, if one wanted to remove and replace the DTEK60 battery itself? 4) Any other information or insight on/about this issue would be greatly appreciated! Attached to this post are 4 screenshots, which should be very helpful in addressing this issue. This one is of the 3 battery tests. For some reason, a low-res version of this graphic was posted here instead of one resembling the original, hi-res version. Sadly, many DTEK60 owners are experiencing the same issues. 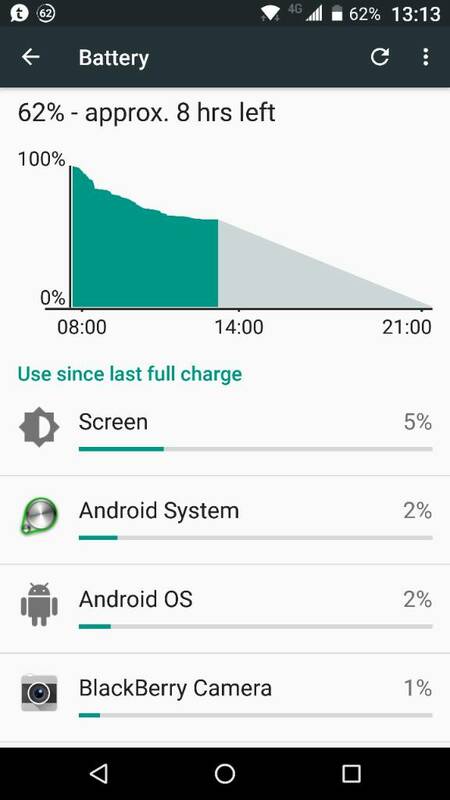 After about seven months of use, my DTEK60 would begin to shut off after five hours, sometimes even at 25% charge. At seven months, a charge would only last two hours. Still under warranty, in October 2017, I sent my device into the Canadian authorized Alcatel Repair Centre (SBE Canada). They kept my device for three weeks, did nothing, and claimed to have done a "Software Update," which was a lie since the setting showed "Android v. 6.0.1" and the monthly update was still waiting for me to download it. The device still shut off after two hours or less. Note that SBE Canada has been given an "F" for Fail by the Better Business Bureau. In November 2017, I once again sent in the device to SBE Canada. They kept it for four weeks. They sent it back by UPS who promptly lost the device. It took eight days for UPS to send it back "overnight." When I got it back in December, the Repair Form indicated the battery had been changed and again a software upgrade was performed. These were both lies since the device still shut down within an hour on a full charge, and the Android version remained 6.0.1. The security patch had not yet been downloaded either. Two independent repair shops have now refused to repair any DTEK60's since they cannot get parts. They say it is likely a defective motherboard that is the source of the problem, not the battery. It should be noted that the DTEK60 is a retrofitted Windows version of the Alcatel Idol 4S. A more complex 21MP camera was added, which may account for some of the electronic problems. The battery is dead; it is incapable of producing the high current demands required under certain circumstances. Either have it replaced by BlackBerry Mobile or buy one and replace it yourself (or have a third-party shop do so.) This is an extremely common failure mode for lithium cells and in fact is exactly what Apple tried to cover up by throttling their power demands when they detected the problem. The solution is to replace the battery. 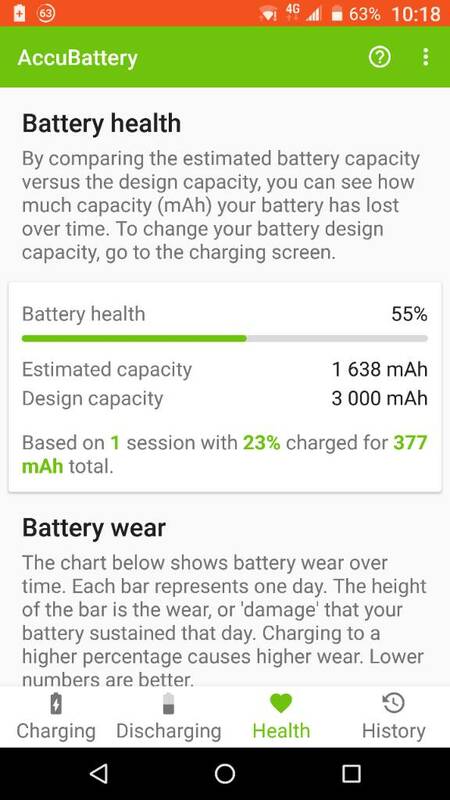 If you load "Accubattery" from the play store it will likely show materially-degraded capacity (e.g. 2,000mah as opposed to the rated 3,000) as well, but voltage collapse under load is definitely caused by a defective cell. The authorized Alcatel Repair Centre in Canada claimed they changed the battery in my DTEK60. It made no difference. The problem is likely a defective motherboard and / or poor design. Total nonsense bordering on libel. The laws of physics are not suggestions; the battery is defective. Occam's Razor suggests your battery was never actually changed and if you opened the device you could trivially prove this as batteries have a date code on them. If original then obviously the battery must have a date code that is equal or prior to the production date on the original box. My DTEK60 had the battery changed and the motherboard was NOT touched; I know this because the IMEI and serial number, along with MAC addresses on the device, were identical to that on the box when I got the phone back. It has been entirely back to normal since. The root of the problem lies in extremely aggressive charging paradigms that ALL phone manufacturers have engaged in over the last few years; they are intentionally over-driving the cells during saturation to reduce charge times. This results in compromised cell life. The issue that arises is that if you cannot get through a full day without recharging and thus you consume TWO cycles in a day (instead of the expected one) that, plus the compromise in life that results from said abusive charging parameters (which a user cannot actually change) leads to a material probability -- but not certainty -- of battery compromise before the useful life of the device has been exhausted. It didn't matter so much in a non-sealed-battery paradigm - just put a new battery in. Now, with phones glued together, it does. As a user you have defenses against this but they require attention to HOW you charge your battery. If you're unwilling to do that then the only OTHER defense is to buy and replace the batteries when they fail, and with sealed devices this is more difficult than a 30-second task. I note that both Apple AND Samsung, the two largest manufacturers, have been doing the same thing. Apple has admitted to their "mitigation" attempt and Samsung got on the wrong side of the "knee point" of safety and had fires as a result. I KNOW LG is doing it as well since I own one of their phones and have instrumented it, which is easy to do since it has a REMOVABLE battery (I can access the contacts, in other words, so I also know what an app tells me is accurate.) Never mind the myriad people I run into in my daily life who have devices from various manufacturers -- Samsung, HTC, Apple, etc -- all seeking chargers as their phones are dead and all with batteries exhibiting the same symptoms. I've yet to see a "modern" manufacturer, in fact, that DOESN'T do this; it has become an "industry standard" despite it's known effects on battery life that are a function of chemistry and physics and cannot be "wished" away. The reason it has become an "industry standard" is the screaming from customers who will not wait 3-4 hours for a complete charge. In response you get what you demand, and eat the compromise that comes with it. No, this is not "bordering on libel." I am a lawyer and MBA, so I know what libel means. The problems with the DTEK60 are more serious than merely defective batteries. Consumers have a right to products that function, and that are free from defect. The Alcatel Idol 4S upon which the DTEK60 is based does not have battery problems. The DTEK60 in fact has the same Alcatel battery, but in contrast to the Alcatel Idol 4S does not perform as well. This is likely because the DTEK60 is based on a retrofitted Windows version of the Idol 4S, with better specs including a 21 MP camera. There is therefore a more serious problem with the DTEK60 than just the battery since the original Idol 4S has the same battery and it functions without problems. Last edited by tonycanuck; 01-26-18 at 02:18 PM. And so did I. SBE Canada , the official "Alcatel Repair Centre," claimed to have replaced the battery, but this did not solve the problem. Again Occams Razor suggests that they didn't actually replace anything. And yes, it IS bordering on libel to claim that there is a MOTHERBOARD defect without a shred of evidence and in fact many people right here with exactly contrary experiences who have either had their battery changed or in some cases changed it THEMSELVES and the problem was resolved. Since changing the motherboard will always change both the IMEI and MAC addresses it's trivial to detect if that was done whether it's on the repair order or not. It clearly was not in my case and, from what I've read here, not in other instances either. That you and some others have had battery problems (including my device) doesn't mean they ALL do. In fact, many do not; of those sold only those who have problems will complain, of course, so the presence of some number of complaints on a forum, especially people like you who spam every thread on the DTEK60 multiple times in an attempt to amplify the impact of ONE failure (yours) provides nothing of value in terms of evidence. The OP in this thread has a battery exhibiting the classic symptom of lithium chemistry battery lifetime exhaustion. Changing the battery will very likely resolve the problem; the batteries are available at a reasonable cost. If under warranty he should seek replacement under those terms, but if not the cost of the battery is about $30 and any reasonably-competent individual should be able to perform the replacement in a half-hour or so. It's possible a bad batch of batteries got into the production line. It wouldn't shock me if they did; the KeyONE had a bunch of devices shipped with inadequate adhesive on the screens, if you remember. TCL IS replacing those impacted, however, without issue. Nonetheless whether they did or didn't get a bunch of defective cells originally (they are the same ones use in the Idol 4S, so they are hardly a unique item built for this phone) the fact of the matter is that all the manufacturers are running charge voltages above the proper setpoint for the saturation portion of the charge. ALL OF THE MANUFACTURERS are doing this in the modern era. This WILL result in cycle life degradation as that is a function of the chemistry of these cells and cannot be wished away. Use patterns that result in charging *twice* in a given calendar day will make this materially worse (by half!) so if you are one of those people then you definitely would be well-served to pay attention to how you treat your battery by not charging beyond 80% on a routine basis, and plugging in before you reach the 20% charge level. This will still likely require you to charge twice, but it will reduce the impact on cell life to about ONE QUARTER of that if you just fast-charge twice-daily to 100% and leave the phone on float overnight. Turning a 9 month lifetime into a three year lifetime means your device will be more than 4 years old when the second battery fails. If you had done this from the outset (but didn't know you should, as you were unaware of the abusive way the cell manufacturers were setting their charging circuits!) you probably wouldn't have had the original failure in the first place. Change the battery, fully charge it 5-10 times to condition it (lithium chemistry cells require a few full charges to reach their design capacity) and then use "Accubattery" so you UNPLUG THE DEVICE at 80% and charge when the low warning comes up at 20%. You will most-likely wear out the phone before the cell fails a second time. Again, I am a lawyer, and merely repeating what several professionals have indicated (that there is a possible problem with the motherboard) which is not "libellous." Not every statement is "libellous." In fact other consumers have reported and posted that they too have been told that the problem may not lie with the battery but with the motherboard, the sub-motherboard, with the camera, or with some other part of the device. Yes, it is possible that the official Canadian Alcatel Repair Centre (SBE Canada) did not in fact replace the battery when they said they did. Furthermore, the Alcatel Idol 4S, upon which the DTEK60 is based, does not have the same problems even though they both contain the same battery. Note further that Bell Canada continues to carry the Idol 4S, but refuses to carry the DTEK60. Last edited by tonycanuck; 01-26-18 at 03:43 PM. Lawyers are well-aware that repeating an unsubstantiated claim, especially if you don't source it fully, can in fact expose you to liability if it's false. Further, accepting someone's claim to be an "expert" without evidence is something you know damn well would not survive the other side's challenge as to admissibility. There's no evidence of "motherboard" problems with these devices. There IS evidence of battery issues, but the actual cause is not known. It is extraordinarily unlikely that it is a "motherboard" fault because the failure mode experienced by you and others would require literal teleportation into the battery of a high resistance condition from the motherboard, which is of course physically impossible. If the issue related to excessive power drain, for example, then some other part of the device *might* be implicated. But that's not what happened to your device, my device and the vast majority of the others that have reported trouble, if not all of them here. The failure is an inability to deliver rated current at materially above a "fully discharged" state. That's high internal cell resistance, not low (a partial or complete short.) If the fault was in other than the battery it would prohibit high-current demand at any charge state, which has yet to be reported even once. On the manifest weight of the evidence the failure is the development of a high-resistance state internal to the cell itself. I am absolutely certain that is what happened in my case (because I instrumented it) and the description of the OP's failure in this thread exactly matches that as well. The cells in question are failing in a very specific way that happens to be consistent with end of cycle-life. The failure being seen is not consistent with problems in the CPU or other parts of the phone's circuitry which would exhibit at ALL states of charge including allegedly "full." In addition multiple people, myself included, have had replaced only the battery and the problem has been resolved. I know my battery was actually changed although I did not remove the back cover to verify it because the charge behavior was immediately apparent when I got it back -- it was instantly obvious under instrumentation. At least one person here has changed the battery on their own and thus knows it (and only it) was changed with identical results. That the Idol 4S is not exhibiting the same failure at the same point in its life-cycle is entirely reasonable for one fairly simple reason: It has a different screen configuration along with some other internal differences that likely implicate a materially LOWER power consumption curve. It has less RAM (3Gb .vs. 4Gb) and a MUCH less power-hungry CPU (652) for openers. This in turn means it is much less-likely that an owner of same would be driven to charge it more than once per day. That second charge, all on its own, drops your battery life in half in terms of time before failure since two cycles are twice one cycle! Once past the first year there would be no warranty issue for Alcatel or the carriers (e.g. Bell Canada) since the repair would be out-of-warranty and performed by a third party or Bell at customer cost. The failures we've had reported here have been in the ~9-10 month range and double that would put the phone well outside of warranty, along with being consistent with "modern" phone designs that are expected to be replaced by consumers every two or so years. I've long argued that ~2 year "design life" games (which all the vendors play these days) are ridiculous but that's quite a bit different than defective in design or what is sometimes called in a professional (particularly legal and insurance) context "inherent vice." Last edited by tickerguy; 01-26-18 at 06:18 PM. if you are taking legal action, I'd like to be posted. I was one of the first in line and really upset about this. The dude that refused to fix your phone is not a "professional." He is not an electrical engineer or any number of other engineers that specialize in li-ion chemistry, so just forget about it. You either post a docket number or you don't have a JD. Which one is it? I know this thread is old, but I wanted to add my experience. My dtek60 was powering off anywhere from 30%-50%. I read all the motherboard talk and got a little nervous since I already had a battery on order from the source that Conite recommended. Just replaced it a few days ago (easy), and it absolutely 100% fixed the issue. It's only been 3 days, but the battery drain behaves completely different than it did 4 days ago. It's right back like the day I bought the phone. my Dtek60 did the exact same thing. Fortunately it was still on warranty, so BB Mobile gave me the choice of sending it in for repair or exchanging it for a refurbished one. I chose the latter and so far so good. Pretty straightforward from the videos posted. I used a heat gun to heat up the perimeter of the back. I got nervous about getting it too hot and probably didn't heat it enough, but as soon as I was able to lift a corner, I slid a business card in there and worked it all the way around while pulling up on the back. Once that's off, the first thing you come across is the battery. It has 1 connection and some glue underneath it. Pretty easy to disconnect and pry it off. After the fact, I just put it all together and put the phone back in a case. It's been fantastic. ... I already had a battery on order from the source that Conite recommended. Mind posting a link for this source please? Been using my DTEK60 since new from January 2017 and my battery/symptoms are as all of previously described. Same. Had mine since almost day 1. The problem is even if hard reboots make it better, it'll never fix it. These battery's have a life cycle and I don't know about you, but I've probably recharged mine 500 times. Thats a lot. Here's a link to the battery. They shipped pretty fast. Good luck!